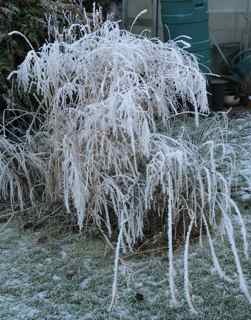 I meant to update this in November with a vibrant photo of a miscanthus lit up by the sun, when it was deep yellowy orange. 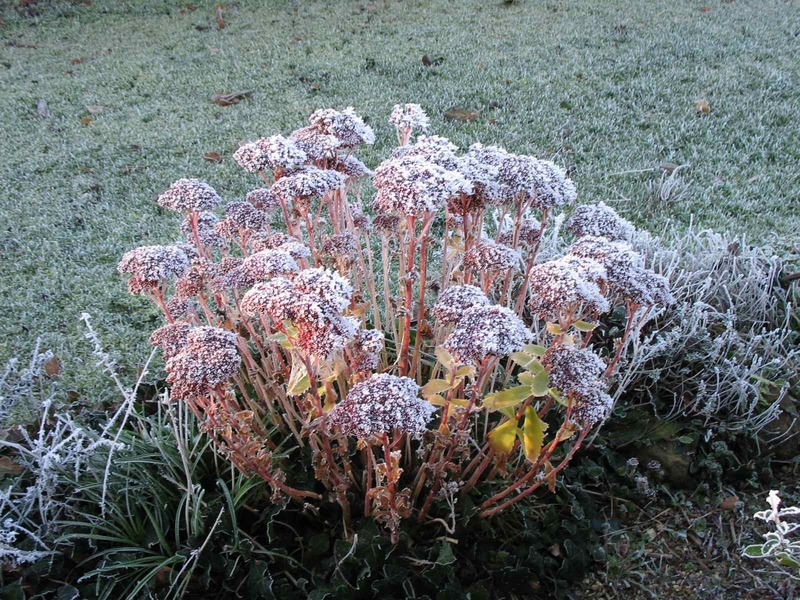 Then the sun disappeared from that area of the garden – however now the grasses have taken centre stage again with the frost. A very useful pair of plants! 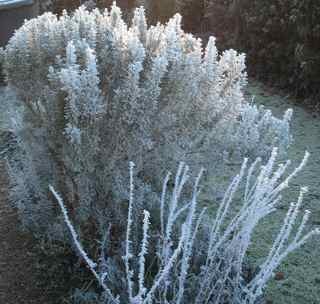 This time of year, when little is flowering, is the time to value anything that is enhanced by frost, whether evergreen rosemary or the seed heads of a sedum (see photo on the right). 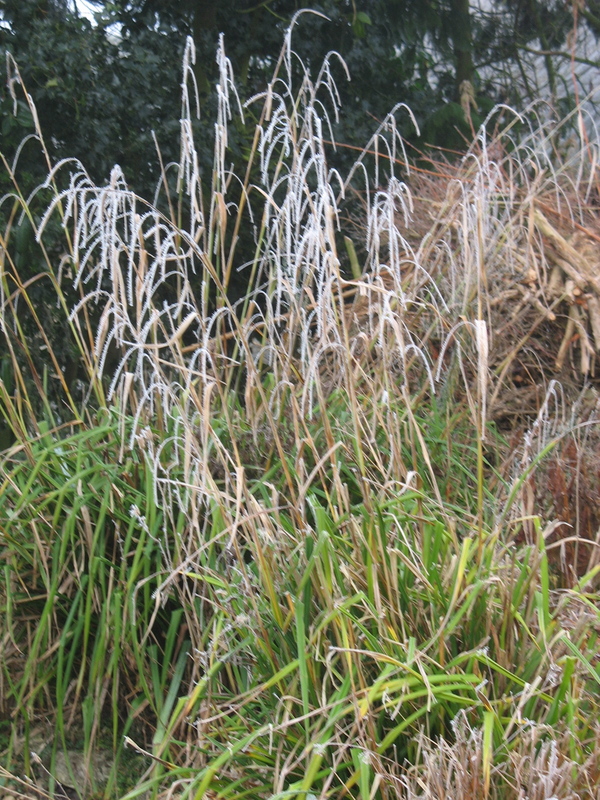 The remains of the branches of catkins from the carex pendula look good too covered in rime. Now is the time that you, and your wildlife, benefit from planting berried and other wildlife-friendly plants. The blackbirds, robins, sparrows, finches and thrushes have all been munching the pyracantha berries outside my kitchen window. It’s a low bay window, and if one is still, it’s like being in a bird hide at the moment. Planting the hedge just below the window was definitely a brainwave of one of the previous occupants – I recommend it! Except that every time I open the front door at the moment, an indignant blackbird flies away, disturbed in its meal.